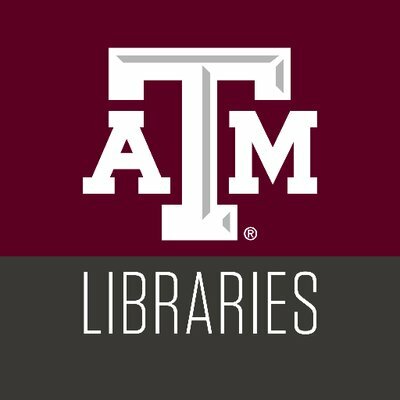 Texas A&M University Libraries invites applicants for the Director for Research Data Management Services (RDMS), a new unit within the Libraries’ division of User Services. The Director will lead the Libraries’ efforts to envision and build a new program that provides data management services and advances open science at Texas A&M University. Under the Director’s leadership, the RDMS team, along with collaborators from across the Libraries, will develop and implement data management services that support the evolving needs of Texas A&M faculty and students engaged in research data management throughout the research life-cycle. Services will include outreach and instruction, development of standards and workflows, and collaboration on the management of the Texas Data Repository with the Texas Digital Library community. The Director is responsible for overall leadership and management of RDMS and will work collaboratively with the RDMS team and colleagues from across the Libraries to create and communicate a vision and set priorities for this new unit. Responsibilities include visioning and strategic direction setting, as well as oversight for program development and assessment, the mentorship and development of a team of data management experts within the unit and from across the Libraries, and the building of collaborative relationships and strategic partnerships with researchers and entities from across campus. The RDMS team will collaborate with the Office of Scholarly Communication and the Libraries’ subject librarians to expand and promote research support and data-related services across the disciplines and throughout the research life-cycle at strategic points of need. Reporting to the Dean through the Associate Dean of User Services, the Director administers the work of three tenure-track faculty members (GIS Librarian, Government Data and Information Librarian, and Data Librarian) and works collaboratively with staff and units from across the Libraries to ensure high-quality customer services and support to members of the Texas A&M community. The Director will engage in active outreach to the researcher community on campus and beyond to elevate and shape Texas A&M University’s and the Libraries’ data management efforts through strategic relationships, collaborative partnerships, and formal service commitments. The Director will be expected to stay current on funding agencies’ data management policies and contribute to the ongoing training of library staff on research data management fundamentals and services. In an effort to provide relevant customer service in an ever-changing environment, the Texas A&M University Libraries is developing a core culture representing flexibility, innovation and risk-taking. In addition, the Libraries recognizes the value in creating a culture that draws from the richness and strength reflected in the diversity of our state and nation and has created an actionable Diversity Plan. The Libraries currently rank 8th in materials expenditures ($23.6 million) and 4th in ongoing expenditures ($16.6 million) among all ARL libraries. Additionally, the Libraries typically rank near the top 10 for starting librarian salaries among ARL U.S. Public Academic Libraries. Currently the staffing includes 268 individuals which includes 90 librarians holding faculty status. Salary/Benefits/Rank: Faculty rank and salary are commensurate with qualifications and experience Excellent benefits include health plan and paid life insurance; several retirement plans including TIAA; paid holidays and vacation; no state or local income tax. Funding is available for professional travel and development activities. Applications: Applications received by May 1 2019 will be given first consideration. The letter of application should address the responsibilities, qualifications, and experiences listed for the position. Please submit application letter, vita, and the names, e-mail addresses and telephone numbers of three professional references. References will not be contacted without contacting the candidate first and verifying permission. Send nominations and applications via email to LibrarianJob@library.tamu.edu or mailed to Pixey Mosley, Associate Dean for Administrative & Faculty Services, Texas A&M University Libraries, 5000 TAMU, College Station, TX 77843-5000. To obtain more information or to submit your resume you can contact Search Committee as shown below. If you apply for this position, please say you saw it first on www.AcademicCareers.com. Thank you.